Heather Reid, the head of her eponymous clothing brand, Heather Reid Designs, uses her creative eye to craft handmade clothing from hand dyed, hand painted fabrics. Working with cotton, wool and fleece she designs outfits and single pieces that are as eye catching as they are comfortable. Tops, jackets, pants and other clothing pieces come in a muted color palette that is conducive to mixing and matching to curate outfits that are ready for work, ready for going out, or ready to just look fashionable on the weekend. Reid’s love of nature is captured in many of her hand painted fabrics. Leaves, branches, birds and blooms are often her prints of choice. Reid uses the finest quality pigments, dyes, and natural fibers and typically paints in a casual, freestyle manner. High-low hemlines, contrast stitching and relaxed silhouettes add to the natural, carefree vibe of the line. 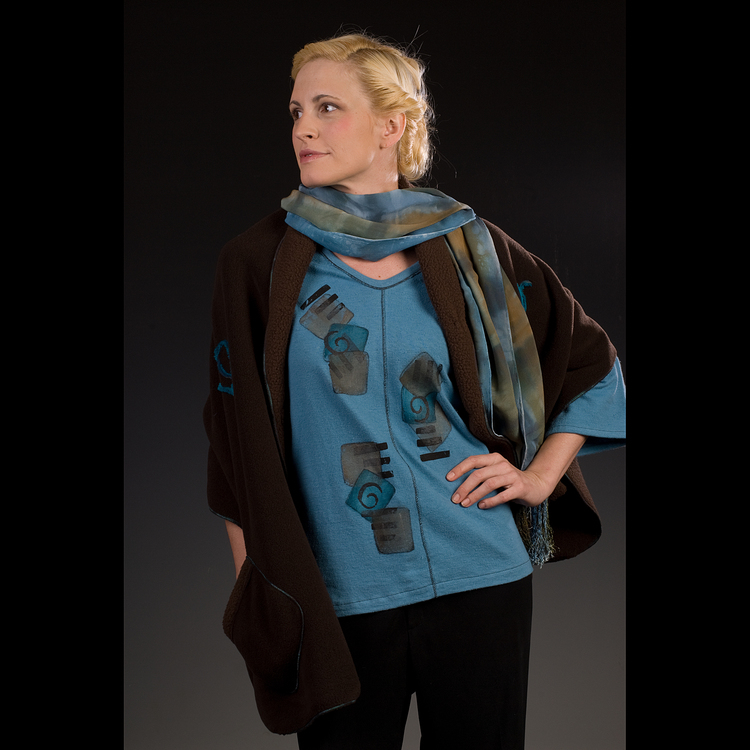 Living in Greenwich, NY, Reid often exhibits her designs at area venues including the Sugarloaf Craft Festival.